Android is powerful platform for playing game because it provide sufficient hardware support and good control over hardware. Android offers a vast variety of games for their users. Google play store has various different categories games. Some likes action games for android and other want to play strategy games for android. Action are mostly liked by those who want to play for short time period. They usually play when they want to release stress. But android strategy games are mostly liked by those who wants are additive of playing games. Strategy games for android are full of enjoy and brain teasing situation. We have to take care of our each move before playing because in strategy games each past move show their effect in future. Time management is also require by strategy games. We have to make perfect strategy to defeat our rivals and also make strategy to defend their attacks. 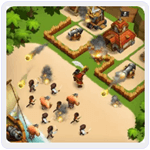 Android strategy game provide new challenges at each level. We have to make strategy to rule over others and become the number one. It provide us a feeling like real king. 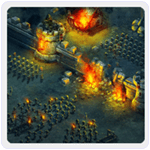 List Of Best Strategy Games for Android. 3. Clash of Lords 2. 10. The Pirates Age of Tortuga. 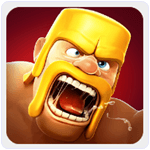 Clash of Clan is one of the Wonderful in all Strategy Games for android with more pleasures and fun. It is an addictive game you never remain without playing it. In this game we have to build our village in an unbeatable fortress. Build our army of barbarians, archer, hog rider, dragons etc. 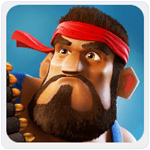 We can fight against rival clans in epic clan wars. We can also fight with players around the world wide and take their trophies. Approximately 200 million users downloaded this Game. Boom Beach is awesome combination of War and strategy game in which we have to fight against the evil blackguard with Brains. We have to attack on the enemy bases to free the islander and to know the secret of tropical paradise. Players can also play with other players to make an unstoppable task force to co operate a mission. We have to fight to take control of resources to upgrade our bases against the enemies. Approximately 100 million users downloaded this Game. 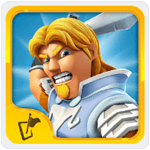 It is another top rated strategy games for Android users which has a rating of 4.7 on Google Play store. We can recruit from 40 Heroes with their Army squads to build a base station to attack on our rivals. We can fight against our friends and also play in cooperative with our friends make an unbeatable force. This game provide awesome quality graphics we can control the action and battle skill of our heroes. Approximately 50 million users downloaded this Game. 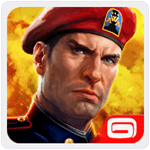 World At Arms is Amazing Strategy Games for Android User which has a rating of 4.3 on Google Play store. It is a free war simulation game with brilliant graphic and stunning animations. We can fight on Ground, in Air or in the depth of water around the world. We have to collect the resources and build, upgrade our equipment. Players can also connect our friends on Facebook to borrow their units on battles and War. Approximately 50 million users downloaded this Game. 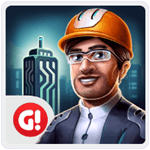 Megapolis is an interesting Game in the list of strategy Games for Android. This game offer more realistic 3D graphics. We can create building from old ancient time to modern time. Their 700 different buildings with different materials. We can easily manage our finance and build different types of buildings like Airports, Mining, Railway stations, power plants and much more. We can also play it in coop mode with friends. Approximately 50 million users downloaded this Game. It is another top rated Game in the list of Android strategy Games which has a rating of 4.4 on Google Play store. It is an awesome combination of epic war and strategy game. This game has a huge variety of buildings and resources. This game provide a variety of Heroes like Swordman, Archer and mage etc. Fight with our rivals and win their resources. Approximately 50 million users downloaded this Game. 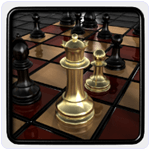 3D Chess Game is popular Strategy Game for Android users with 3D graphics. We can play the chess game against the computer, Human etc. This Game offer powerful chess engine that can simulate beginners opponent. It provide 3D chess board with awesome sound effects. We can easily analyze the game by back and forth the moves. We can play game in normal mode and time mode. Approximately 50 million users downloaded this Game. Titan Empire is another famous Android Game which comes under the category of Android strategy Games. It is an awesome Empire and also a city building Game. We have to design our city in such way to resist enemy attacks. We have to build a powerful army of titans and train them to unleash their special powers in war. Players can join an Empire to avenge and war with our friends to become more powerful. Approximately 5 million users downloaded this app. 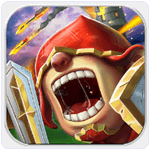 It is another awesome game in the list of Strategy games for Android. It is rather an interesting city building Game which provide us a chance to build and customize city according to our choice. We can also play this Game in offline mode without internet. Tap on people to become them. Happy, tap on buildings to move them. It provide various disaster like alien invasion, natural disaster, epidemic etc. Approximately 5 million users downloaded this game. It is rather one of the most famous game which also falls in the category of Strategy Games for android. This game also is based on the story of pirates. Mistress of the sea give us an island. We have to save Caribbeans from the pirates. We have to recruit our team to fight with pirates. Players can also fight with other players in online mode. This game also offer many offline missions with attractive graphics. Approximately 0.5 million users downloaded this Game.